Lynn is a very experienced Texas Licensed Psychotherapist with a Master of Science in Psychiatric Nursing. Lynn is a Doctor of Clinical Psychology student. Lynn is the co-author of Revisioning: Rapid Mirror Neuron Psychotherapy for Grief and Trauma (2016). 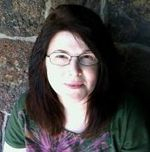 She is a developer and instructor for innovative therapy methods for grief, trauma, and dissociation. Lynn is in private practice in Dr. John Naus's (Psychiatrist) office in Colleyville, TX. Specializing in adults of all ages seeking a supportive, confidential, interactive, safe relationship to become emotionally stronger, happier, and achieve their goals. Send me an email (link below) or confidential voicemail (817) 739-1950.